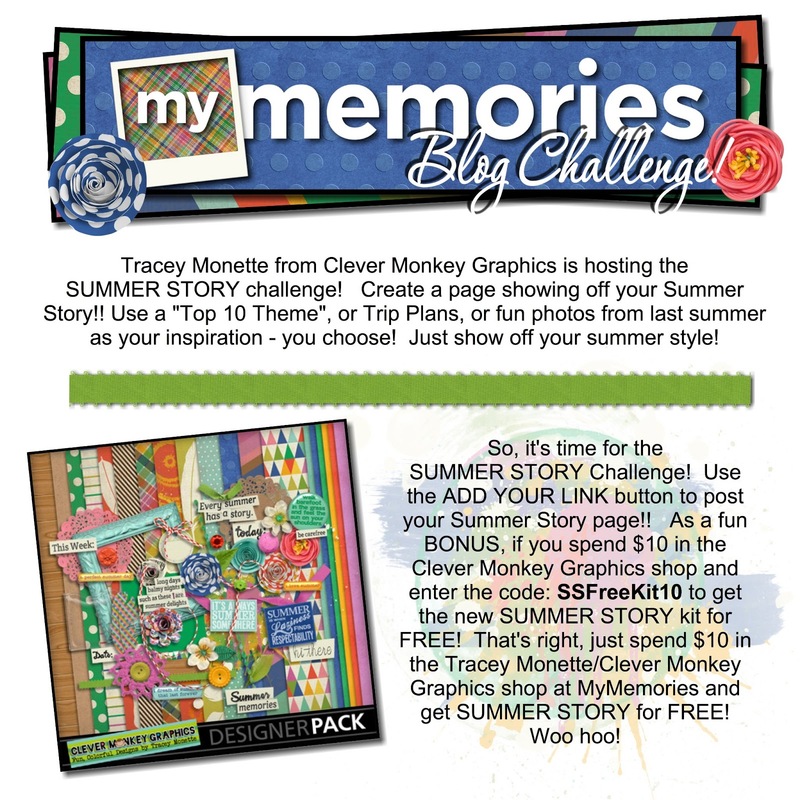 MyMemories Blog: It's a SUMMER STORY Challenge - and FREE KIT w/purchase Promo from Clever Monkey Graphics! It's a SUMMER STORY Challenge - and FREE KIT w/purchase Promo from Clever Monkey Graphics! If you want to pick up any thing extra from Clever Monkey, here's a BONUS promo code! Use PROMO CODE: Monkey10off to save 10% on your purchase! Just thought you all should know the free with purchase kit promotion only goes through the 10th of June - so hurry on in to the store!! !